Hashtags have become synonymous with social media marketing and it’s no wonder why. A totally unique component of social media, hashtags have the ability to grow your following, expand the reach of your content and highlight important words within your status updates. One less obvious thing that your hashtags tell your audience is whether you actually know what you are doing or not. 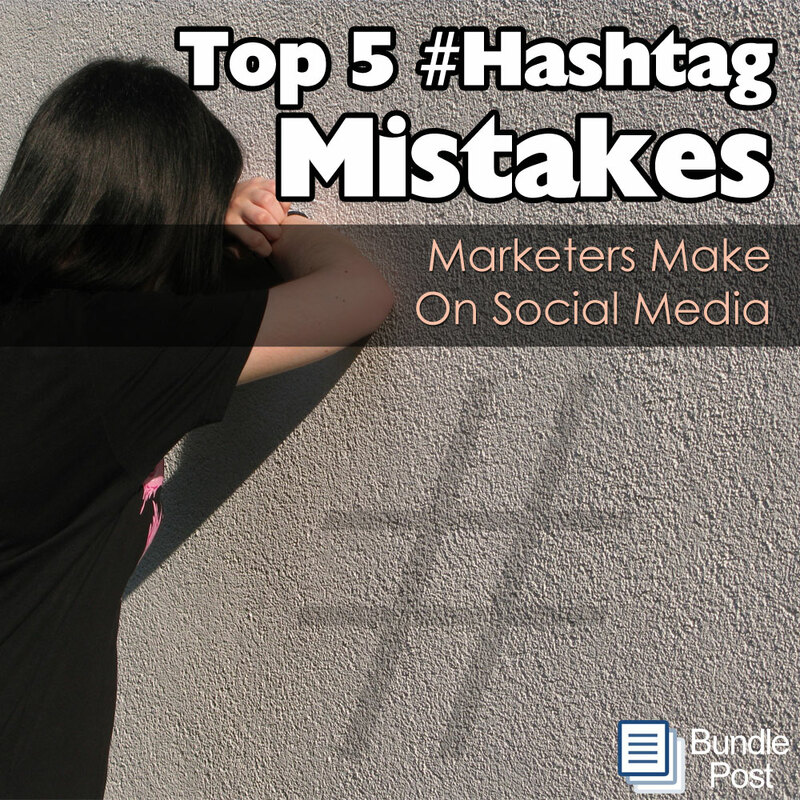 If you are making novice mistakes while hashtagging your social media posts, it tells your readers a lot about you. If your target audience are newbie social networking users, this is less of a factor, however if the audience you are trying to reach have been on social for a while, you’re going to need to be sure you know what you’re doing. 1) Not Hashtagging – When you do not hashtag the words and phrases your target audience is following, it’s like fishing without using any bait. Make it easy for your audience to find you by not only sharing the content that is interesting and relevant to them, but by including the hashtags that they follow. 2) Too Many Hashtags – Though it is our belief that there are no steadfast rules in social media marketing, there are best practices that will achieve better results. We do not think there is or should be a defined rule for the number of hashtags you use in a post, but common sense goes a long way. If you use so many hashtags in a post that it becomes distracting instead of helpful, you are using too many. On Instagram, we see this abused quite frequently. Only add relevant hashtags to your posts instead of baiting followers with completely irrelevant and numerous hashtags. Topical Consistency: Stay on target with 5-8 topics that interest your audience and determine the hashtags that are most common and effective surrounding those topics. If you attempt to be known for more than a handful of key topics and/or are hashtagging so many different categories, you will be far less effective. Frequency Consistency: If you are going to hashtag, do it consistently. Within social media marketing there is nothing more effective than being consistent with your posting, topics and hashtags. 4) It’s All Me! – This one really sets off the newbie radar. For the love of all things social media holy, stop hashtagging your name, your brand or your product name. You are not Starbucks, Pepsi or Oreo. Hashtags are active links allowing people to see all content about a relevant topic. You or your new/tiny company are not that, at least not yet. Don’t get the cart before the horse, or you never will be either. 5) Confusing Hashtags – Unless you are trying to be funny on occasion (which we love), don’t hashtag long phrases or words only you understand the meaning to. You are simply confusing your audience and not achieving anything meaningful for you or your social media success. How you use hashtags, how many and what hashtags you use say a lot about you. Making adjustments to what you are doing with hashtags can make a significant difference toward improving your real results. Take some time to evaluate what you have been doing and how your audience is responding, then insert some higher level, conscious tactics that will be inline with your goals and your communities needs. ← The 4 Types Of Social Media Spammers – Which One Are You? As always wise info to know. Good post. Reblogged this on Micah Birkholz 1:16 Digital Media.